PC users that opt for an Apple iPhone won't need different software to take advantage of the contacts, email and picture gallery functions on the new device. There had previously been some confusion about how pictures would be transferred to the device. Whether the iPhone would work with Microsoft's Outlook application for email and contacts was also unknown. Thankfully though, it does. In an Apple email publicising the launch, Apple says its new telecommunications marvel will sync with Address Book or Entourage on a Mac. It'll sync with Outlook or Outlook Express on a PC for email and calendaring. Of course, if you use iCal on the Mac, it'll sync with that too. And if you keep your contacts on the web, the phone will also connect to Yahoo Address Book. Actually, Yahoo is quite well represented on the device. You can handle email from Yahoo Mail as well as .Mac and Gmail (Google Mail) email. The iPhone also works with POP3 and IMAP email servers. 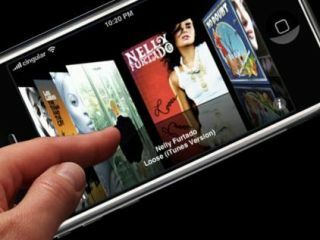 Naturally, iTunes is the route for music uploads, while pictures can be gathered from any PC folder you specify or, as with the Apple TV, using Adobe's Photoshop Elements or Album. Naturally iPhoto is used on a Mac.